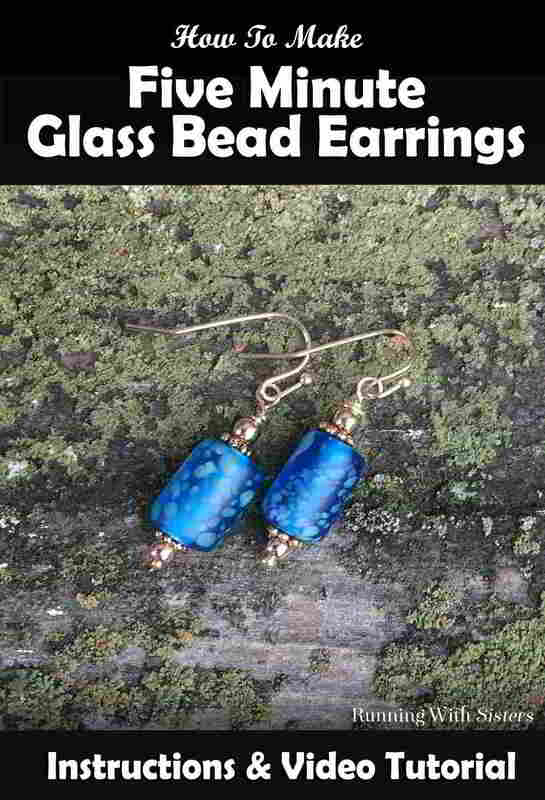 Make a pair of Five Minute Earrings featuring pretty glass beads. We’ll show you how to make these in just a few easy steps! Here’s a video showing how we made these earrings in real time! Watch it (only takes a few minutes) then use the steps to make your own. 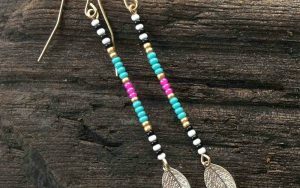 You can make earrings like these with any pair of beads. 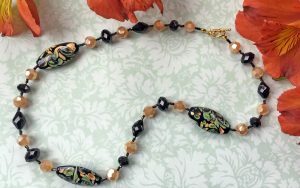 Once you learn how, you’ll want to be on the lookout for pretty beads to use! Since we posted these earrings, we’ve had lots of people ask where we got the beads. We found them on a mixed strand at Michaels. 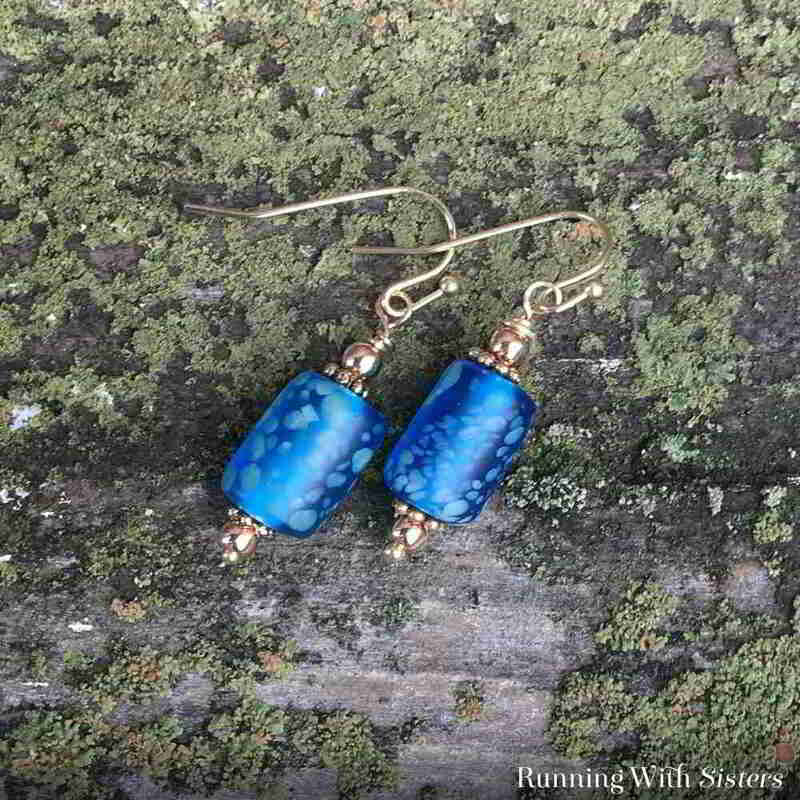 We looked through all the mixed bead strands they had and saw these pretty blue glass beads and knew we had to make them into earrings! 1. 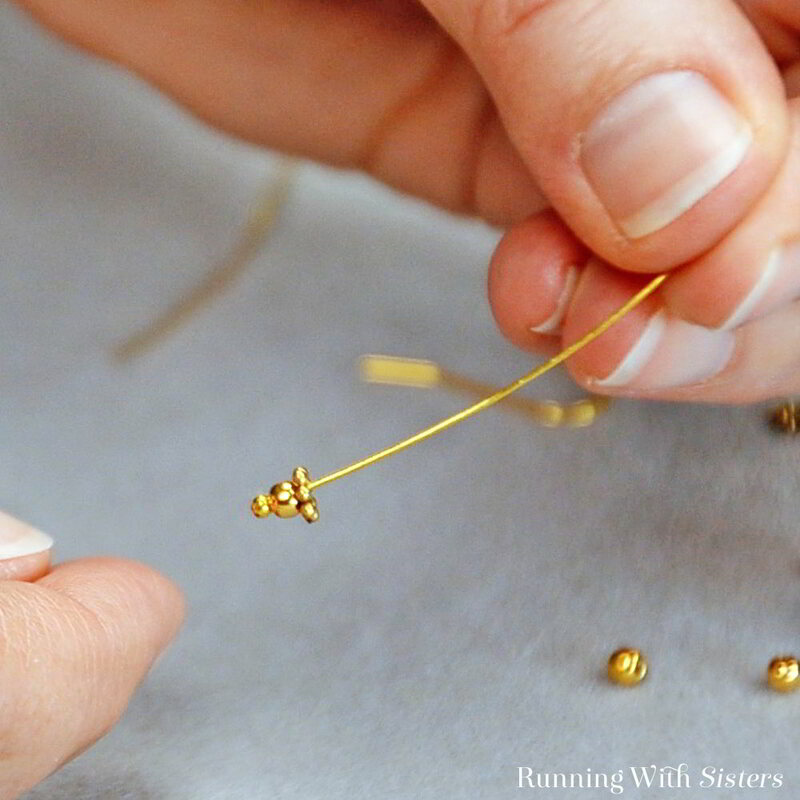 To get started, slide one of the round beads and a daisy spacer onto one of the headpins. We chose a headpin with a ball end to add a little extra shape to the bottom. 2. 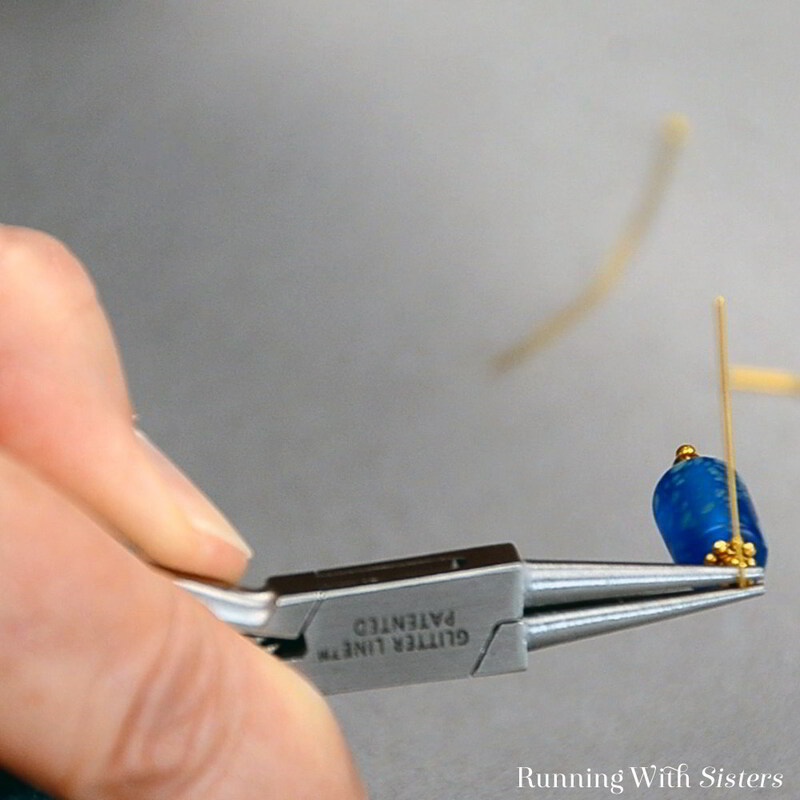 Next, slide one of the featured beads onto the headpin. 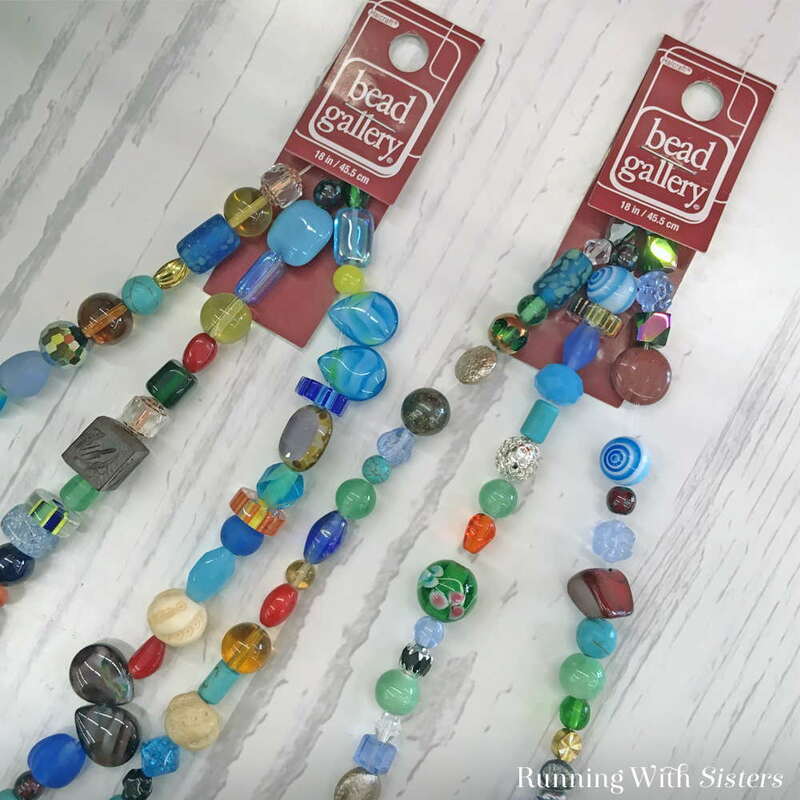 Some beads have small holes and some headpins are thicker than others, so you’ll want to test your beads to make sure they fit onto the headpins. 3. Slide a daisy spacer and one of the round beads onto the headpin. Then make a wrapped loop in the headpin wire. 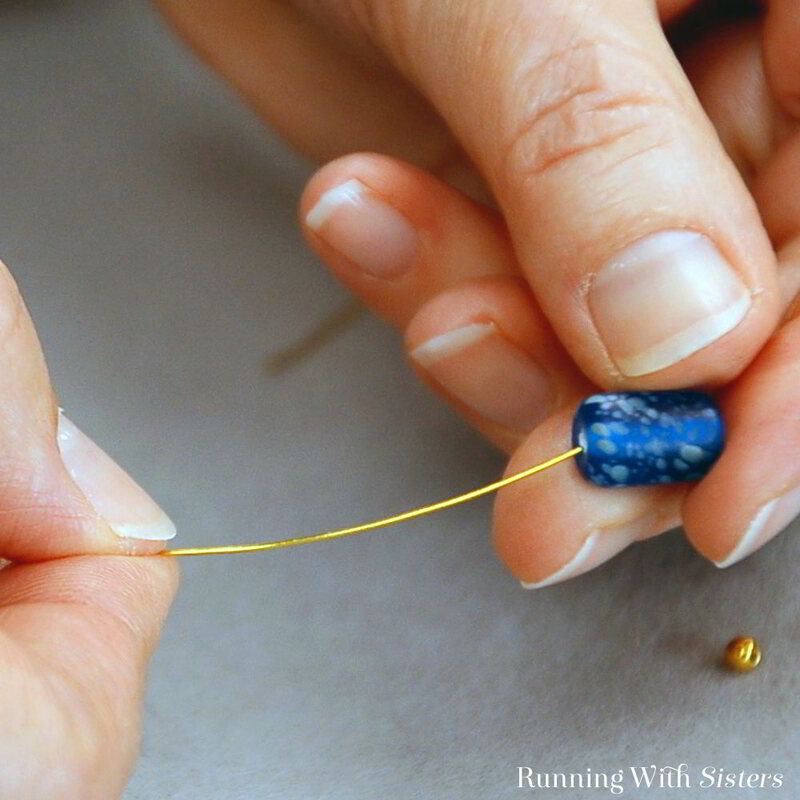 To do this, start by grasping the headpin wire just above the last round bead using the round-nose pliers. Then pull the wire over the pliers to create a 90-degree bend in the wire. 4. 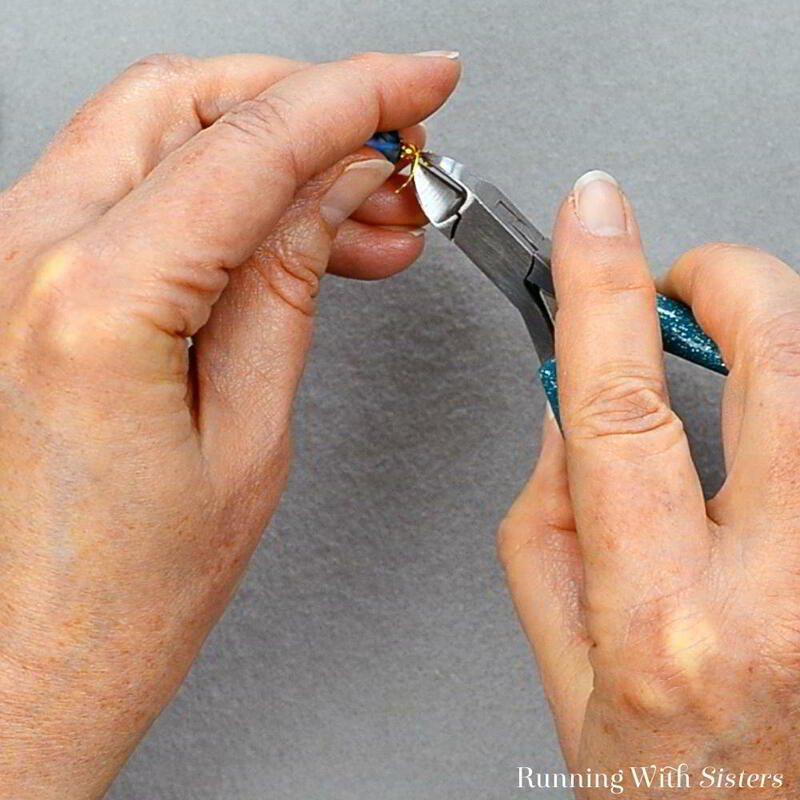 Reposition the pliers to the top of the bend and pull the end of the headpin wire in the opposite direction over the top jaw of the pliers to make a partial loop. 5. Slide the bottom jaw of the pliers into the loop and pull the wire the rest of the way around to complete the loop. 6. 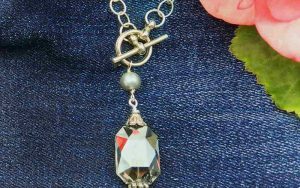 Grasp across the loop with the pliers to hold the earring, then pull the tail of the headpin wire around the neck two times. 7. Use the flat side of the wire cutters to trim the end of the wire. 8. Slide the loop onto the earring wire and press the earring wire closed. Repeat to make a second earring. Wasn’t that easy? 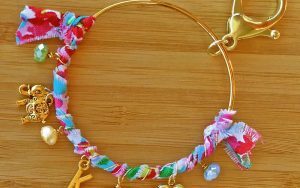 This technique, called “making a wrapped loop,” is one of the most useful things to learn for jewelry making. We make wrapped loops all the time, especially for earrings. 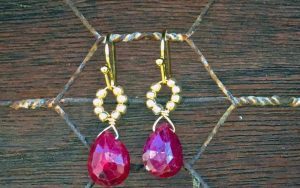 Practice by making pairs of simple but pretty earrings like these. You’ll be amazed at how fast you’ll get! Remember if you have any questions, please leave us a comment. We are here to help! 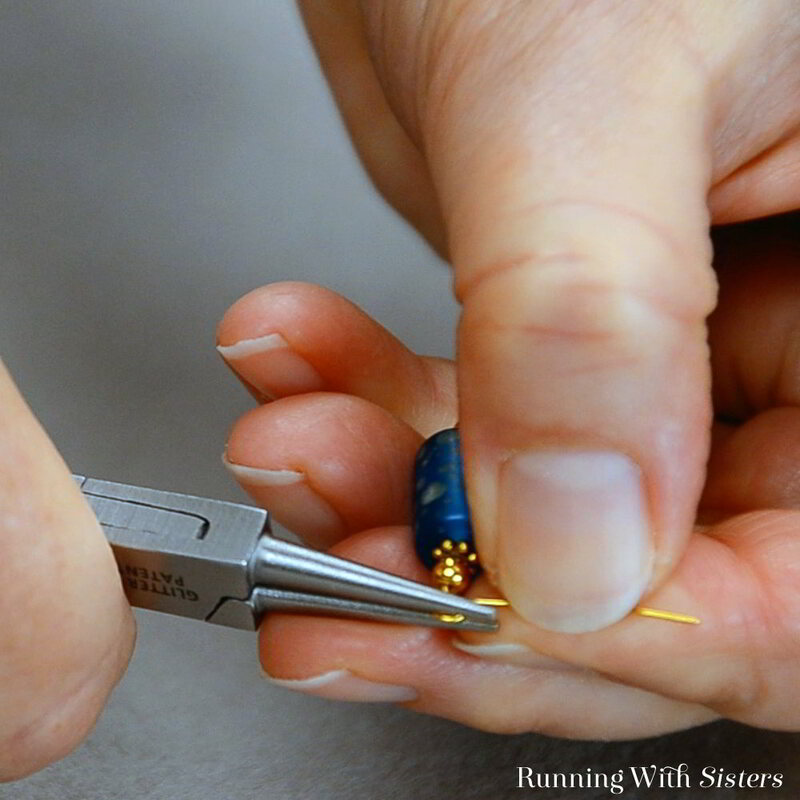 Sign up now to receive all the latest from Running With Sisters plus a FREE Spa Crafts ebook! Thank you for this tutorial. I have often wanted to make some of my own. Your demonstration made it seem so uncomplicated, that I believe I will give it a go. Where did you get the cylinder Beads can’t find. Sorry to hear you are having trouble finding cylinder beads! We got these in a mixed multicolor strand of glass beads at Michael’s. Here are some similar beads: https://www.firemountaingems.com/shop/lampwork_glass-beads-tube_shaped_bead?itemsperpage=96 And you can make these with any two matching beads. Hope that helps! We're Kitty and Jennifer, the O'Neil Sisters. We have lots of free craft and decorating ideas here on our blog and we post new articles all the time, so be sure to sign up below! And if this is your first visit, you can get started here!